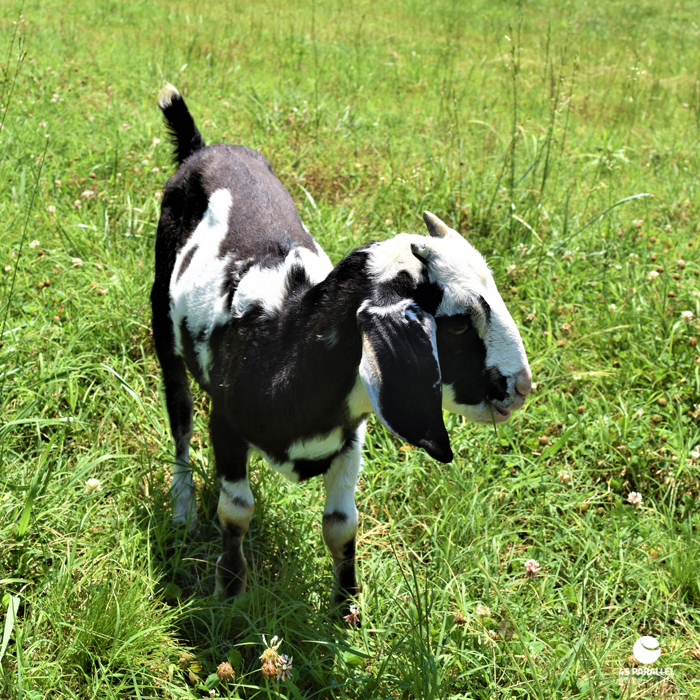 Pint-size PeeDee is just loving his time in the pasture along side his new goat friends and all that fresh grass. And look at those horn buds! !